In January 2018, Four Roses Distillery announced the launch of a new bottle design for Four Roses Bourbon, the brand’s namesake offering. Bottles featuring the renewed packaging have arrived, and will be available in retail locations soon. 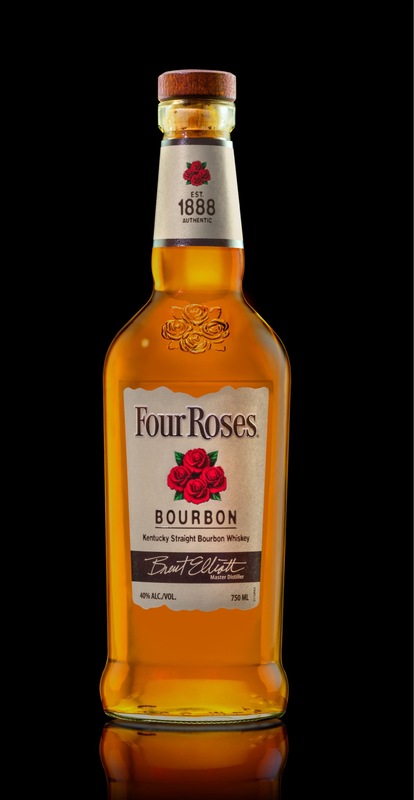 The updated packaging was designed to maintain consistency, in color and style, with the brand’s other signature products – Four Roses Small Batch and Four Roses Single Barrel. The upgraded Four Roses Bourbon packaging features a wood top and cork finish, as well as all new labels. Of course, the brand’s iconic rose cluster is prominently featured on the label, as well as embossed in the glass. Up to all 10 of Four Roses’ distinctly different Bourbon recipes are expertly mingled by hand to create the smooth and mellow Four Roses Bourbon. Four recipes are used for Four Roses Small Batch and one recipe is used for Four Roses Single Barrel.